Why were the top brass of Russia’s Baltic Fleet dismissed? The new commander will have to deal with the consequences of an unprecedented scandal in Russia's armed forces. Military experts discuss the reasons for the dismissal of the fleet's command. 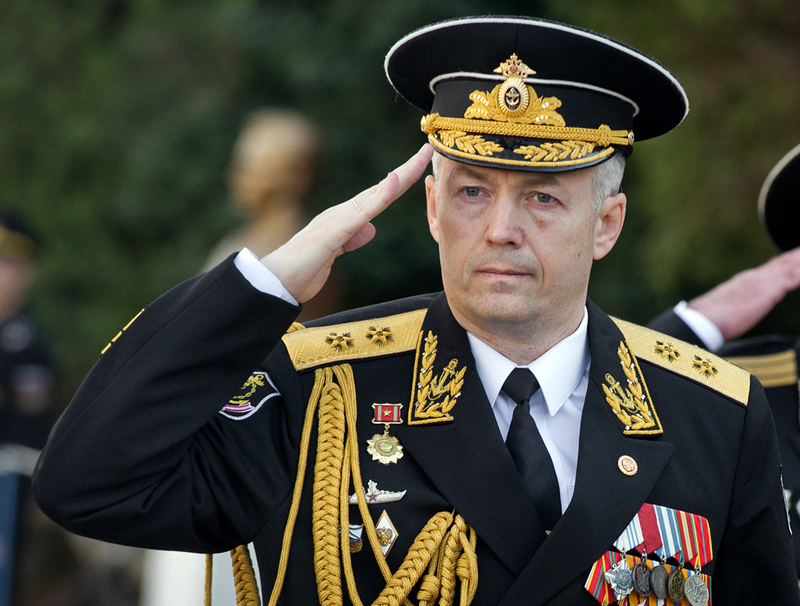 The new Commander of Russia’s Baltic Fleet has been named. On July 1 Russian Defense Minister Sergei Shoigu announced that he had appointed Vice Admiral Alexander Nosatov to the post. Until recently Nosatov commanded the Black Sea Fleet headquarters and also headed the Naval Academy. On June 27 Shoigu had dismissed Baltic Fleet Commander Victor Kravchuk and the Chief of Navy Staff Sergei Popov "for omissions in combat preparation and for distorting the real state of affairs in official reports." 1st-rank Captain and Chairman of the All-Russian Movement for Supporting the Fleet Mikhail Nenashev has spoken out in defense of Kravchuk. In his view, "the defense minister was misinformed," since the Baltic Fleet under Kravchuk's command was a successful one. "The exercises in the Baltic involving all the Baltic Fleet forces significantly increased in quantity and quality. How can you speak of systematic failure after all this? This can only be explained by some sort of personal motives," said Nenashev. Nevertheless, military experts say that Shoigu's purge of the Baltic Fleet has suddenly exposed the problems of the Russian Navy. Viktor Litovkin, a military observer from the TASS news agency and a retired colonel, strongly believes that the abruptness of the personnel changes corresponds to the shortcomings discovered during inspections of the Baltic Fleet. Among the most flagrant failures, for example, was a lack of sheets: In some units the sailors slept on bare mattresses. And in some canteens the soldiers' rations did not contain sufficient food – the portions had been reduced. "There was constant theft. The commanders did not pay attention to this. And someone, perhaps, even organized the theft when the people's rations were reduced,” Litovkin told the Vzglyad newspaper. “Now the prosecutor's office is taking care of this. Nonetheless, the inspection committee has discovered these facts. And obviously the commander is responsible for all this, and not only the general commander but also commanders of divisions and units, headquarter directors and rear deputies," he said. Litovkin underlines that Moscow had received reports about problems in the Baltic Fleet and poor execution of the defense minister's orders. "When sailors sleep on bare mattresses and at the same time hear their commander say publically that everything is going well, they will obviously not trust him. These lies increased, but they had their limits," explained Litovkin. There were also problems in the formation of the 11th army corps, for which military towns, barracks and combat technology stations were supposed to be built, but "nothing was done." "It is unclear where the money went. That is why the defense minister had to take decisive measures," said Litovkin, who does not rule out the possibility of there being violations in other fleets but describes the punishment that has been meted out as "exemplary." In turn, Viktor Murakhovsky, editor-in-chief of the Arsenal Otechestva (Arsenal of the Fatherland) magazine and member of the expert council of the Russian Military Industry Committee, is convinced that the problem lies with “the situation that was formed there." "The situation was not formed suddenly but gradually deteriorated. The defense ministry had received signals about this. In the end they resulted in the inspection of the Baltic Sea Fleet and other formations in the Kaliningrad Special Region,” said Murakhovsky, adding that it was the committee chairman's report to the defense ministry and the discussions it engendered that led to the conclusions that the minister made. “The fact that the conclusions and decisions were made public, and with such demeaning terminology, makes the case "exclusive" and unprecedented," Murakhovsky told Vzglyad. As to the new Commander of the Baltic Fleet, Viktor Litovkin said that it will be a figure from a different fleet. "All those involved in the Baltic Fleet will be replaced. They will all be demoted and sent to the Northern Fleet and the Pacific Fleet and other places," remarked Litovkin, adding that the Baltic Fleet's new Chief of Staff will be a commander of one of the Northern Fleet's submarines.